I love homemade gifts and the last time I saw my friend Teresa she gifted me these delicious banana pineapple muffins! They were moist and delicious and the boys loved them, and that’s what matters the most. Whisk together canola oil, sugar and egg. Add in bananas, pineapple and vanilla and mix well. Add remaining ingredients until just mixed. Barely fill the muffin liners half full, these muffins rise REALLY high! The first time I made them they rose so much they dimpled in the middle! Bake at 350ºF for 15 – 20 minutes depending on your oven. These get quite browned on top, but these still taste fantastic! 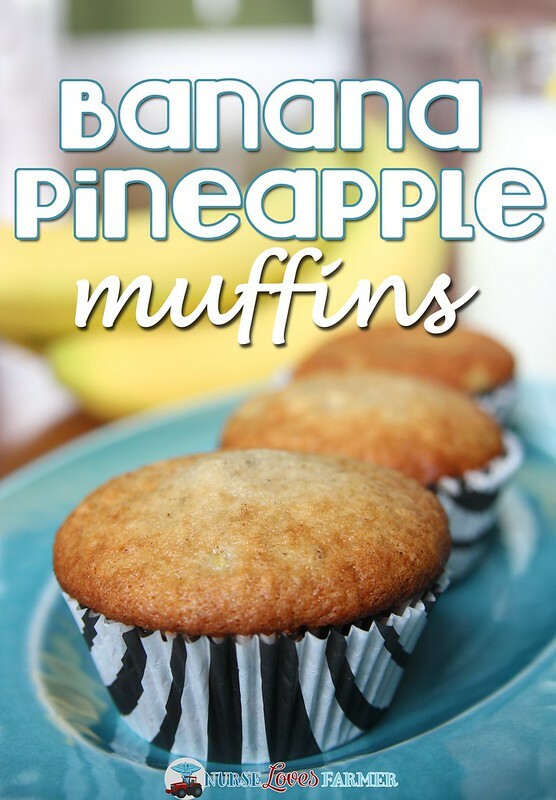 Muffins that taste like banana bread with a little splash of pineapple. Whisk together canola oil, sugar and egg. Add in bananas, pineapple and vanilla and mix well. Add flour, baking soda, baking powder, cinnamon and nutmeg until just mixed. Barely fill the muffin liners half full, these muffins rise REALLY high! Bake at 350ºF for 15 - 20 minutes depending on your oven. These get quite browned on top, but these still taste fantastic! Recipe adapted from my friend Teresa of Rural Route Ramblings. Finally, a healthy version of hummingbird cupcakes! Thank you for posting this. I was searching for a recipe that was reasonable – and yours is that recipe! Sarah, my kids loved these! Thanks so much for the great recipe! I used fresh milled flour for the win! That makes my heart happy, Stacy! Thanks, I know you're a muffin expert! 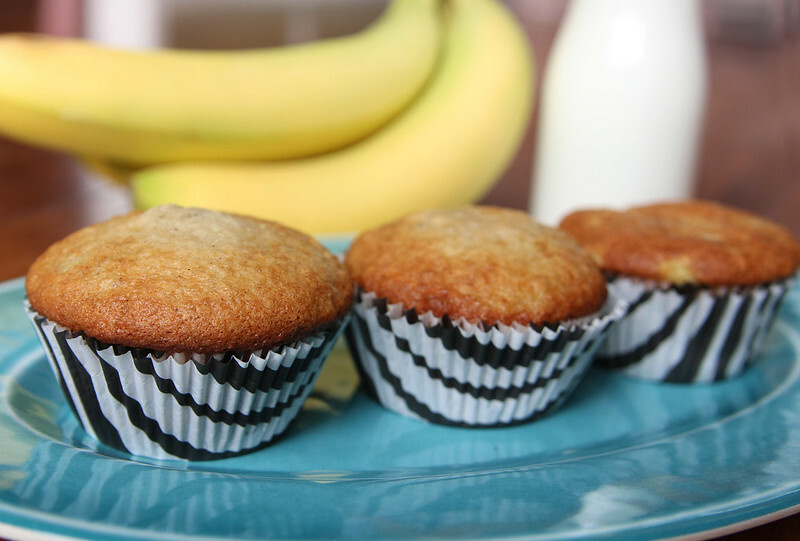 The verdict ladies: these Banana Pineapple Muffins are superb and so easy to make. The overripe bananas worked well for flavor. Thanks again for sharing! Thank you both, Theresa and Sarah . . . Had 2 blackened skinned bananas perfect for baking – was looking for a muffin recipe with Pineapple and Banana. They're in the oven as I speak and will report back! Thanks for sharing, Sarah! Happy you enjoyed them and that your boys even liked them! Nice muffin liners!